In 2004, under Tio’s direction, CeaseFire received additional funding from the State of Illinois to immediately expand from 5 to 15 communities and from 20 to 130 Outreach Workers and Violence Interrupters. The Violence Interrupters are a specialty unit of violence intervention experts that work to mediate conflict on the “front-end.” Their reputation and connections in the community provide them access to leaders and influential decision makers in street organizations. As testament to the success of this program overall, homicides declined in Chicago by 25 percent in 2013, to a total of 426. This was the fewest number of homicides in the city since 1965. In 2015, Tio implemented the Violence Interrupter Program in Freeport, IL and no homicides were recorded in the City of Freeport during the period of February 2015-February 2016. In April of 2016-2018, Violence Interrupters, NFP started working in Springfield, Ohio. Violence Interrupters are currently working in Maywood, IL and on the Westside of Chicago in the Austin area. Tio Hardiman currently serves as an Adjunct Professor at North Park University in the Field of Criminal Justice and Restorative Justice. Tio Hardiman also worked for the Humane Society of the United States to help bring more awareness to the plight of inner city Pit Bull Dog Fighting which led to the End Dog Fighting Program sponsored by the Humane Society of the United States. Today, the Violence Interrupters Model has been replicated in 15 Chicago communities, 7 cities in Illinois, 15 cities nationwide, England, Iraq, and South Africa. In addition, more than 30 cities and 20 nations concerned about their own levels of shootings and killings have expressed interest in learning more about the Violence Interrupters. Mr. Hardiman is a frequent media contributor on the issues of Chicago violence and gang conflict. He has appeared on the local affiliate of every major television network, as well as CNN and the BBC. Mr. Hardiman has also been interviewed for numerous National Public Radio stories and has been covered by the New York Times Magazine, The Chicago Tribune, The Chicago Red Eye, Jet Magazine, The Chicago Sun Times, and numerous others. The Interrupters Documentary based on Tio’s work has won film festivals across the nation. The Violence Interrupters also intervene in Dog Fighting in the city of Chicago. Growing up in Chicago’s notorious Henry Horner Housing Projects, Mr. Hardiman witnessed firsthand the devastating affect the violence epidemic has on a community. From that early exposure, he committed himself to ending violence in Chicago. Before joining CeaseFire, Mr. Hardiman organized more than 100 block clubs to strategize community plans for public safety on behalf of the Chicago Alliance for Neighborhood Safety and held leadership positions for Bethel New Life and Chicago’s CAPS Program. 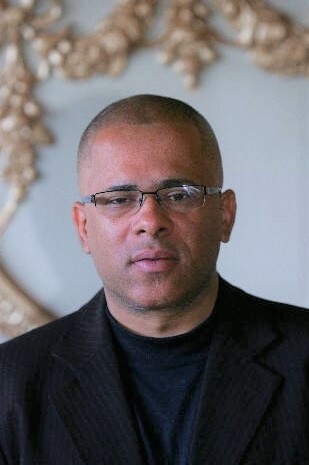 He holds a Bachelors Degree in Liberal Arts from Northeastern University and a Masters Degree in Inner City Studies.